The Republic of Armenia is a mountainous country in the South Caucasus. Located at the crossroads of Western Asia and Eastern Europe, Armenia lies in the highlands surrounding the biblical mountains of Ararat, upon which Noah’s Ark is said to have come to rest after the flood. (Bible, Gen. 8:4). 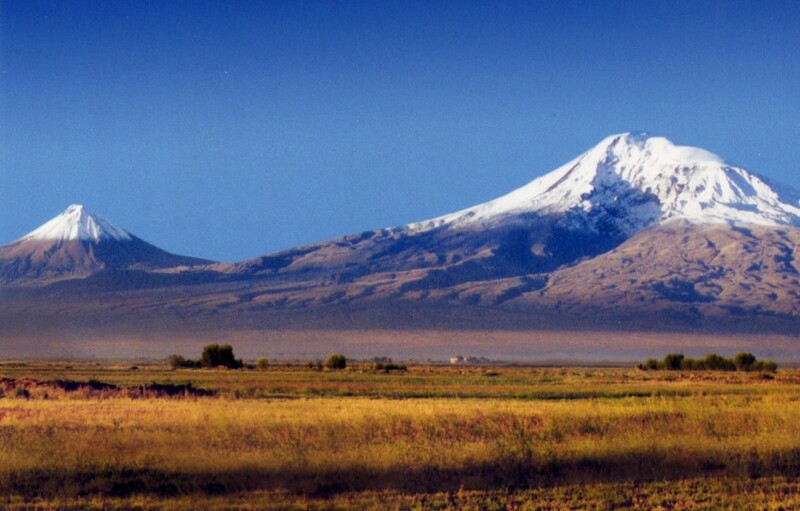 The 5165-meter Mount Ararat, is a national symbol of Armenia and is visible from much of the Southwest region. Armenia became the first state in the world to adopt Christianity as its official religion, in the early years of the 4th century (the traditional date is 301 AD). For this reason, Armenia is often referred to as the “first Christian nation. Many of the surviving ancient monuments in Armenia are Christian churches and monasteries. Armenian “khatchkars” are a unique part of the history Armenia. The first true khachkars appeared in the 9th century. 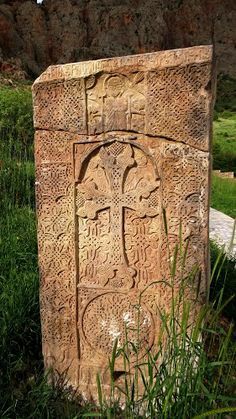 The oldest khachkar with a known date was carved in 879 (though earlier, cruder, examples exist). About 40,000 khachkars survive today. Most of them are free standing, though those recording donations are usually built into monastery walls…. Tradition and Cuisine. Nevertheless, certain qualities may generally be taken to characterize Armenian cuisine: The flavor of the food relies on the quality and freshness of the ingredients rather than on excessive use of spices. Fresh herbs are used extensively, both in the food and as accompaniments. Dried herbs are used in the winter, when fresh herbs are not available. There are two de-facto national dishes in Armenian cuisine. Harissa is a porridge made of wheat and meat cooked together for a long time in the tonir Khash, which started off as a laborer’s meal, consists of beef or lamb feet that have been slow-cooked overnight in water. It is eaten at breakfast over crumbled dried lavash bread, with crushed garlic and liberal portions of vodka or spirits. Armenians like to eat bread with almost everything, and there is two traditional types of bread in Armenia are lavash and matnakash. Traditionally the dough is rolled out flat and slapped against the hot walls of a clay oven. Armenia is the best place to discover new Caucasian cuisine.